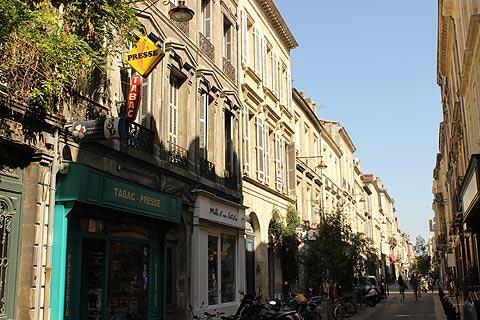 As well as its incredible historic old centre, Bordeaux has various charming districts to explore including the waterfront, the area around St Michel's church and Chartrons. Chartrons is one of our favourites. 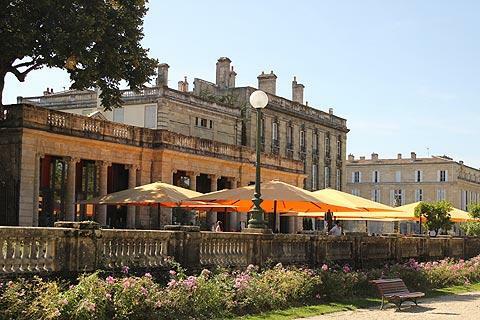 A small distance to the north of Bordeaux's historic centre is the district of Chartrons. This district is centred around the Eglise St Louis and has an almost village-like atmosphere and a couple of interesting sites. The main attraction here is simply to take a stroll to enjoy the lively streets and many antique shops or to stop for lunch at one of the small restaurants that spill over onto the pavements. The focus of the district is the area around the Eglise St Louis and the covered market which sits just behind this and also along Rue Notre Dame. The area is very popular with antiques traders and there are lots of antique shops to browse and explore. Chartrons also runs along the edge of the river and this waterfront area is pretty and again has bars and restaurants enabling you to relax and enjoy the area. Look out for the two Flemish houses at 27 and 29 Quai des Chartrons. These two 17th century buildings offer a different style to the rest of the quai. 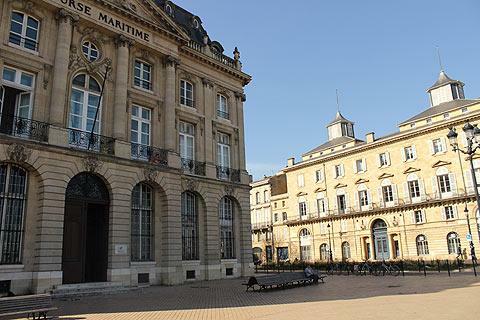 The Bourse Maritime is also an impressive building to look out for. 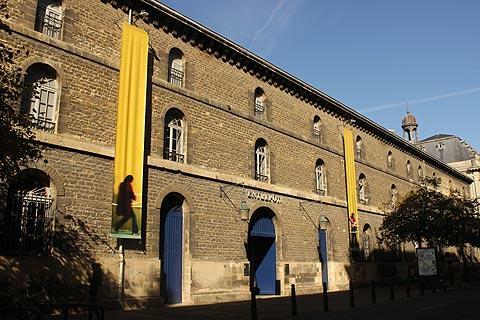 Just to the south of here is the Museum of Contemporary Art which is housed in an old early 19th century warehouse once used for the storage of colonial goods. This now produces a great backdrop for a collection of permanent and temporary contemporary art exhibits. Not quite in the Chartrons area but not far away is the Base Sous-Marine on the Bassins a Flots No. 2. This is a submarine hanger built by the Germans in the war to house their u-boats and now provides a fascinating and original base for art exhibitions. 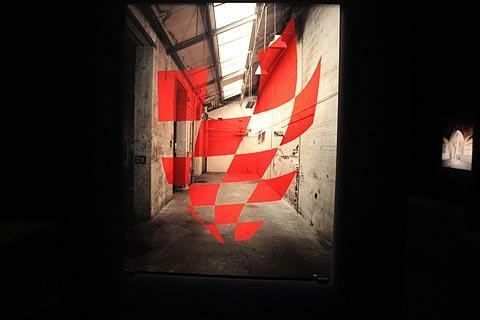 My recent visit was to a great photographic exhibition by Georges Rousse. 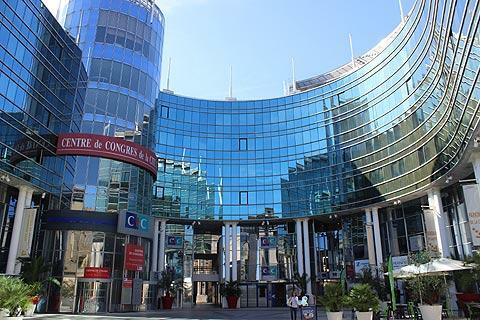 Another contrast to the stone buildings of the Chartrons area is the large glass-covered conference centre - the Cité Mondiale. 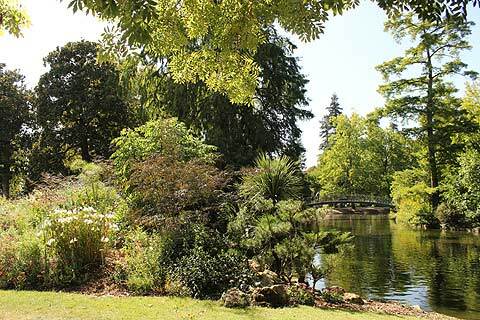 On the opposite side of Chartrons to the river is Bordeaux's lovely public garden. This large park is a lovely place to relax in the sun and maybe take a picnic. 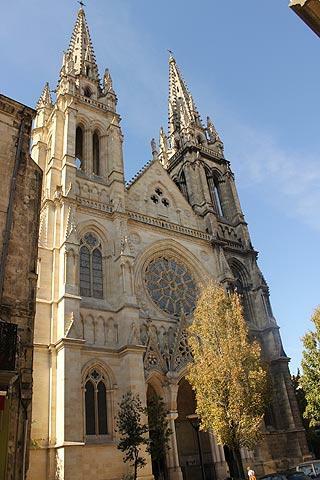 Whilst in Bordeaux be sure to walk round the historic centre, it really is stunning and has some incredible buildings. There is also more to see of the waterfront area. See our guide for details. 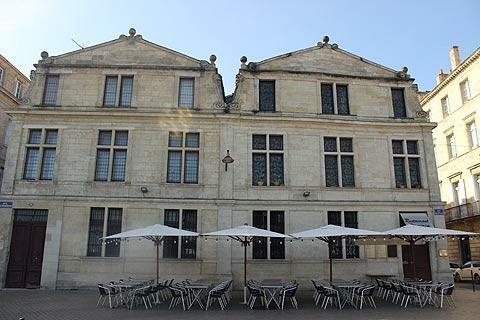 For another stunning historic town visit Saint Emilion. Not only is it beautiful it is also home to some of France's best wines. Alternatively visit Arcachon which in our opinion is one of the top 5 seaside towns in France!